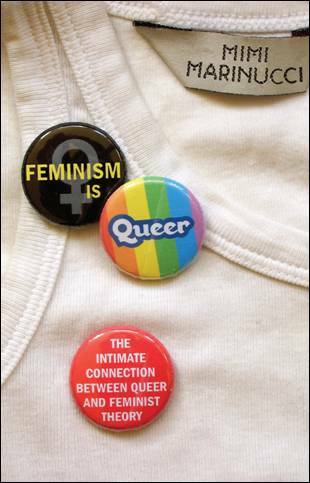 Book Review: Feminism is Queer – The Intimate Connection Between Queer and Feminist Theory by Mimi Marinucci | GenderBen! Intersectionality and its theoretical foundation was created through the experiences of women of color. PLEASE do not erase women of color from your observations regarding intersectionality. I was actually forced to read this book for a class, and completely hated it too (hence me googling about the reviews), and i think similar to marinucci you are also erasing women of color by dismissing the profound effect black women and scholars had in developing intersectionality. My apologies for this erasure. I have added an edit to the original post explicitly stating the importance of the scholarship of women of colour in formulating and developing intersectionality. My understanding of the origins of intersectionality have developed since I wrote this article, as with hindsight I was taught about intersectionality on my Master’s course in a way that also very problematically erased women of colour from the narrative.